Acute rhinosinusitis is an extremely common disease seen both in primary care centres and in otorhinolaryngology offices. In general, it is estimated that up to 30% of the visits to the GP are related in one way or another with this disease, indicating both its clinical significance and its socioeconomic impact. Normally, for the treatment of acute sinusitis cases, classic treatment resources are used, such as decongestants or antibiotics. However, in many of these cases, the treatment prescribed is insufficient and the hoped-for results are not achieved, which entails, among other serious consequences, increased health costs and a significant increase in the risk of complications. The situation with chronic sinusitis is no less serious, as it accounts for almost 15% of the visits made to the GP. Some of the most commonly used resources for the treatment of this disease are decongestants, topical or systemic corticoids, analgesics, antibiotics, acetylcysteine and endonasal surgery. However, as happens with acute sinusitis, the hoped-for benefits are not always obtained and the failure rate is too high. With this situation, Dr. Hoppe wished to highlight the benefits that could be obtained from including cyclamen extract in the therapeutic armamentarium, whether for the treatment of acute or chronic rhinosinusitis, or to improve postoperative care in patients undergoing endoscopic surgery for chronic rhinosinusitis. 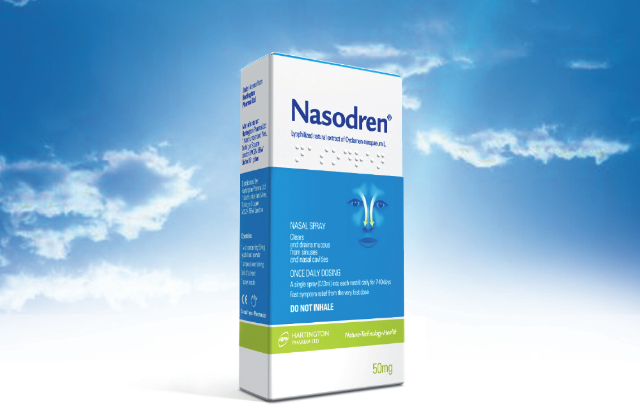 In particular, he discussed his experience with the use of this preparation in dozens of patients with acute sinusitis, “substantial improvements were reported in all cases.” Administration of this product stimulates the mucous membranes at the lower end of the nasal cavity, triggering an intense reflex secretion with almost immediate dehydration of the mucosa, accompanied by shrinkage of the mucous membrane and opening of the inflamed osteomeatal complex. This secretion causes an intense physiological drainage of the paranasal sinuses in patients with acute rhinosinusitis. The experience in chronic rhinosinusitis has also been very positive, with substantial improvements in the patients who have received the cyclamen extract spray.